Do You Have the Spark to be a Cardiac Electrophysiologist? What is a cardiac electrophysiologist? What's the path to become one? Learn here. With four chambers, multiple veins, and constant electrical activity, the heart has a lot going on, even when it is not functioning normally. The sheer complexity of this organ requires expertise to treat any problems. Due to this, all of the possible issues that can go awry with the heart are divided up into their own fields. One of these categories is cardiac electrophysiology. What is a Cardiac Electrophysiologist? Doctors practicing in this field of medicine namely deal with the electrical activities of the heart. More specifically, the line you typically see on heartbeat monitors. 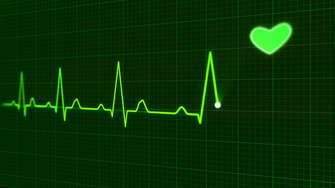 These machines are referred to as ECGs, or EKGs, and they are designed to reveal a plethora of viable information. Cardiac electrophysiologists, or CEs, are trained to read this data so they can properly diagnose and treat patients. CEs know how to use the information to determine a patient’s risk for heart attack and other cardiac diseases. CEs also learn how to surgically implant devices to assist the heart, such as pacemakers. These implants can be used to monitor heart rate over time or actually keep the organ going at pivotal moments, like when a patient is sleeping. To start things off, students need to get 4 years of medical school under their belt. This education is then put to the test in a 3-year residency program. Here, students gain real-world experience in the healthcare field. After the residency, aspiring cardiac electrophysiologists embark on a 2-3 year fellowship in cardiology. Students are then able to gain their cardiac certification before moving on to study electrophysiology. Medical students willing to attend 2 more years of school can now pursue electrophysiology. During this time, students find out all of the available management options for arrhythmias. When these fast, slow, and irregular heartbeat solutions are covered, the next step is to learn how to read ECGs in order to diagnose and treat patients. Along the way, you may hear the term “clinical cardiac electrophysiology”. This portion of the field focuses heavily on arrhythmias, or rhythm disorders of the heart. As such, clinical electrophysiologists are trained to perform surgeries and procedures that specifically address odd pump rates. Furthermore, they are likely to be found monitoring heartbeats in the operating room to assist cardiac surgeons. General cardiac electrophysiologists typically take on these responsibilitiesas well. However, they focus specifically on reading electrocardiography reports to determine and treat heart related issues that extend beyond arrhythmias.